This week on The Bugcast: Autonomy, pranks, and a new podcast, and we play our usual great mix of 8 great tracks of independent and Creative Commons music from Tarra Layne, Jasmine Jordan, David Krystal, The Dream Pop Project, Abby Cone, Deep Down Inside, and Futurelight. 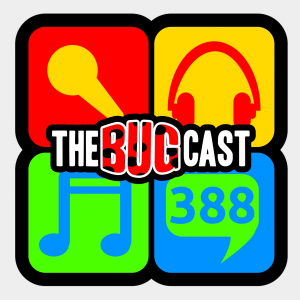 This week on The Bugcast: The girls invade the show, so everything goes to pot, but we still play our usual mix of 8 great tracks of Creative Commons and independent music from Flayst, Night Noise Team, The First Class, T C Folkpunk, Chris Sand, David Krystal, Emily Richards, and Aviator Shades. This week on The Bugcast: Daylight savings and dedications, plus our usual mix of 8 great tracks of Creative Commons and independent music from Aviator Shades, Billy Boguard, Olivier Bastien, Roy Smiles, David Krystal, Melanie Ungar, The Sway, and Light Among Shadows.